In the early twenty-first century, nationalism has seen a surprising resurgence across the Western world. In the Catalan Autonomous Community in northeastern Spain, this resurgence has been most apparent in widespread support for Catalonia’s pro-independence movement, and the popular assertion of Catalan symbols, culture and identity in everyday life. 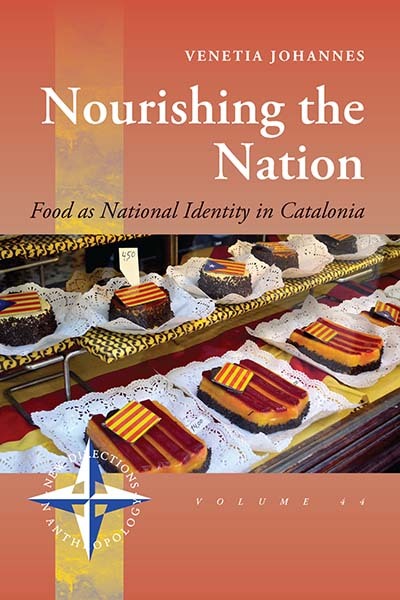 Nourishing the Nation provides an ethnographic account of the everyday experience of national identity in Catalonia, using an essential, everyday object of consumption: food. As a crucial element of Catalan cultural life, a focus on food provides unique insight into the lived realities of Catalan nationalism, and how Catalans experience and express their national identity today. Venetia Johannes is a post-doctoral research affiliate at the School of Anthropology and Museum Ethnography, University of Oxford. She was co-editor of the recently The Emergence of National Food: The Dynamics of Food and Nationalism (Bloomsbury, 2019), and has published chapters and articles on Catalonia, food, nationalism, and heritage.